As we all know they grow up SO quick and Little C. is no different! I can't believe just a few short months ago we were photographing his first few days in the world. 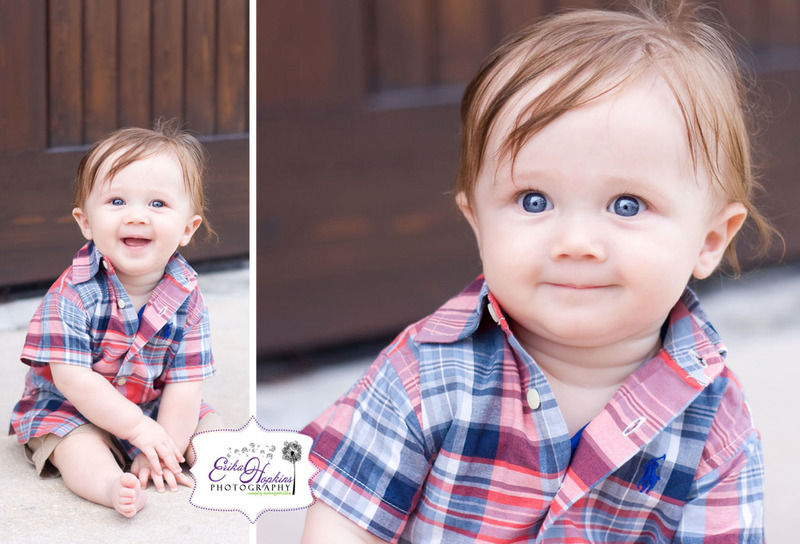 One lovely Saturday morning, we met in the Downtown Winter Park area to capture both family portraits as well as the many milestones of Little C. We had a super happy baby ready to sit and give us a million different faces. When it was time for his close up, dad was a great help with getting him to smile and ignore the quickly rising temperature. He did such a great job, I think it even helped both Mom and myself for get about the heat :). The temperature has been a recent trending topic in the blog, but it's just something hard to ignore! As I write this, the weather is predicted to reach a heat index of 110 degrees today. Why am I sharing this with you? Because I want everyone to understand part of the reason why we offer shoots in the super early morning like 8am or into sunset (which is unbelievable gorgeous!). During the Holiday Portrait season though, there will be a bit more flexibility with our time frames. *Holiday Portrait Dates and Times will be released in mid August! Last year we blessed and ecstatic, to have sold out of all holiday mini session appointments in 48 hours, so make sure to follow us on FB & Twitter for the most up-to-date news and information. Super excited for the session we have planned for this awesome family in the coming months! Enjoy!